This word might hurt you, but it’s TRUE! If your website is not mobile responsive you may lose visitors from Google in next few days.As per new search algorithm 2015, the websites with “mobile friendliness” will gain high in Google search results. The change is only taking place on Google searches made on smartphones. But Google also may automatically reduce the rankings on desktop too. A study done by an Online Internet firm Portent found that a majority of the Top ranking websites are not mobile friendly! The study tested over 25,000 websites and it claimed 10,000 sites aren’t mobile friendly. Do you know 48% of search traffic coming from mobile devices? So with the present search algorithm (started on 21st April) the web Pages with mobile responsive design had a chance to to TOP in SERP results. How good the New algorithm? This algorithm is more useful for the business website owners, especially, for the on-line stores, because in this way they will be able to get a huge traffic in their stores. So, it is not a kind of burden on website owners to make their websites compatible with the mobile phones. New algorithm is a good decision for web owners and users. Web owners will reach more visitors, and users will get better browsing experience on mobiles. Hence, both parties will be benefited with this roll out. is this only for mobiles? Though, the update is being rolled out with the “mobile-friendly” tag, but, in the real scenario, people are using different types of devices, such as iPads and tablets of different size and make. So, a website must be capable of rendering perfectly fine on every type of devices. This capability of rendering perfectly fine on any device is called “ultra-responsiveness”. 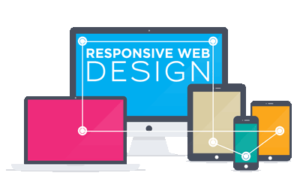 Responsive websites happen the best from the perspective of welcoming more traffic to them. Google released a Tool to test whether your website is mobile responsive or not. You may check your website from here. If your website fails the test? After submitting your website url to the test, Google displays the result mobile friendliness with list of errors in your site’s responsiveness. You need to consult a professional web designer inmmediately if you think your website is necessary for your business. Your website should re-designed on priority basis. We, at Jayati creative in a special drive for websites without mobile frienliness. We convert any website to responsive design without changing content and images. Some times you may ask for redesign of images and change of colors. But definitely you will like the new design. There are special packages for e-Commerce websites also. If you have any idea of redesigning to your website, We are ready to assist you from this contact form.